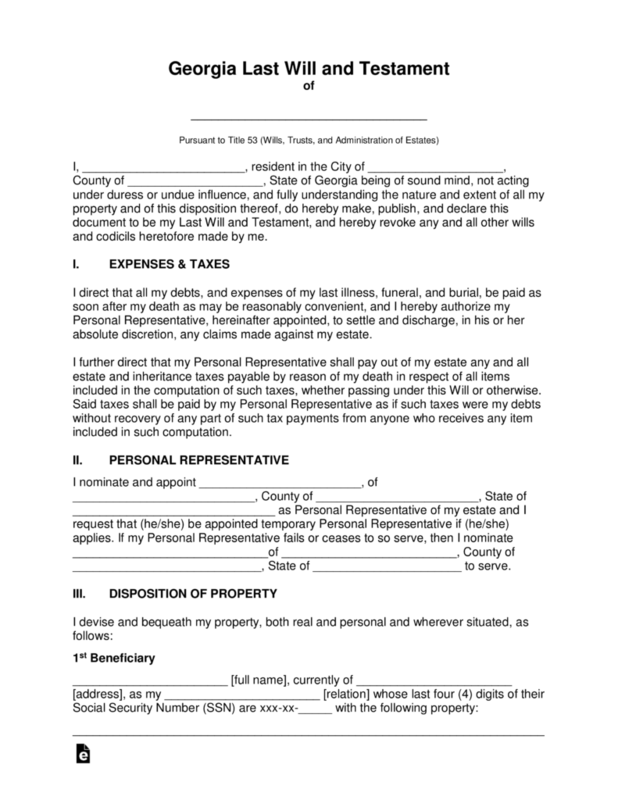 The Georgia Last Will and Testament is an important legal document that protects the fiduciary funds, real estate, personal property and even digital property to be distributed to the chosen beneficiaries of the testator, according to their wishes upon their death. This document will properly distribute their property to spouses, children, friends, charities or anyone else they may wish to provide or contribute to at their own discretion. 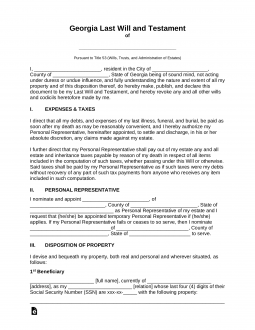 This document will require two witnesses and a notary public. Signing (GA Section 53-4-20) – Two (2) or more credible Witnesses.